So I had a weird failure I've never seen before with my TSO today at the range. Thankfully it was during practice and not during a match! The recoil spring jammed up in the front of the slide and actually held the guide rod compressed in the slide. I couldn't rack the slide to clear the jam and had to field strip the upper to fix it. At first I thought I had either broke a slide stop or the barrel peanut as the slide was free to slide for about an inch then it would bind up. The factory recoil spring has a end that is wound tighter/smaller than the other and for some reason it must of stacked up during recoil and shoved it through the guide rod hole in the slide. I wish I took a picture before I pulled it out because I couldn't get it to shove back into the slide and jam up again. I don't think I'm going to run the factory springs anymore. I'll run the wolff springs as they are straight wound and it would be less likely to get shoved into the guide rod hole. The tighter/smaller end of the spring should be on the guide rod stop or buffer if you’re using one. Never put the smaller/tighter end towards the end of the guide rod or else trouble like yours happens. Won't fit that way with the stepped guide rod in the TSO. Actually I'm not sure . I just pulled out my factory TSO spare recoil springs and neither of those two recoil springs have the tighter wound ends like I thought they would have. I'm now beginning to think that the stock spring was stacking and getting forced into the guide rod hole over time causing the smaller end. I wonder how long this has been happening? It seems like the spring needs to be shorter. I just ordered 3 wolff springs and will verify that those won't stack before using them. The one thing I just changed was going to the thicker buffer to see how long it would survive vs the thinner version? I have a hard time believing that the extra ~1/16 of an inch caused this but maybe? I'm going to look into this hypothesis that the springs are stacking during recoil causing this issue. 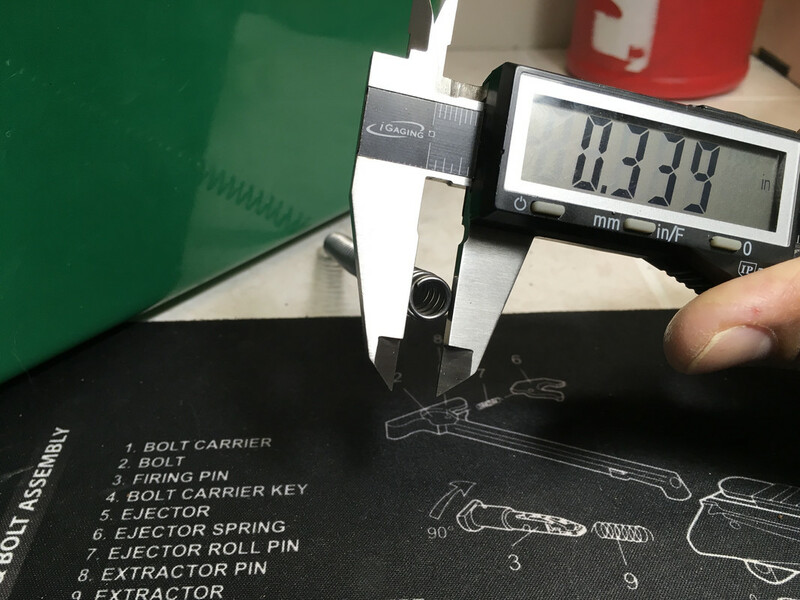 So I pulled the TSO down again and measured the fully compressed recoil spring length and it needs about 1.71 inches. The stock 16 lb recoil spring is fully compressed at about 1.5 inches (maybe a bit more since I clipped off the coil that caused this failure). It's close to fully compressed during recoil but it's not actually stacking the spring. My stock 16lb recoil spring was hardly used as I had the 18lb Wolff spring in this gun most of its life. I had just recently changed it back as I noticed the 18lb spring was causing the muzzle to dip upon returning to battery (analyzing go pro footage). I am going to try and keep track of the wolff springs and see if they start to push up into the guide rod hole and if so at what round count. I've currently got about 3200 rounds through my TSO. I can't imagine the guide roll hole in the frame having enough slop to clear the spring like that. 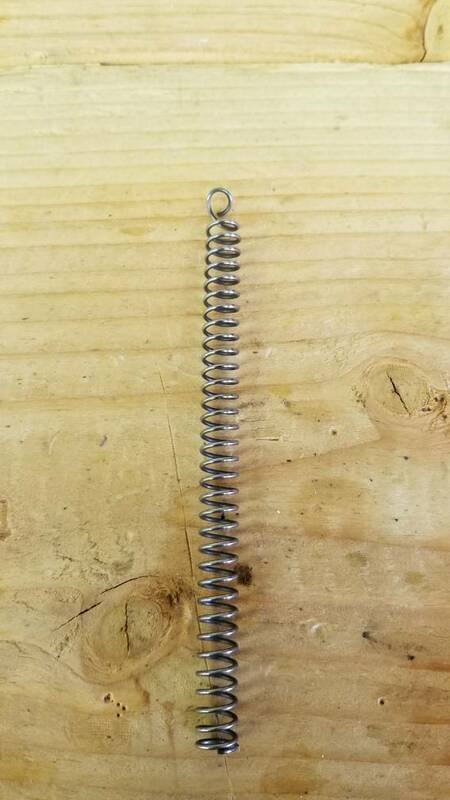 Is it the factory recoil spring guide? I don't have a TSO but on some of my CZ's, the hole in the slide is so tight the guide rod does not easily fit back into place when reassembling the pistol from a cleaning/lubing. Once lined up, they will fit fine, but that small amount of angle when putting them into place makes it hang up a little. Is your TSO a 9mm or .40? I just check my 9mm TSO stock 16# spring and one end of it is noticeably smaller in diameter compared to the other end. 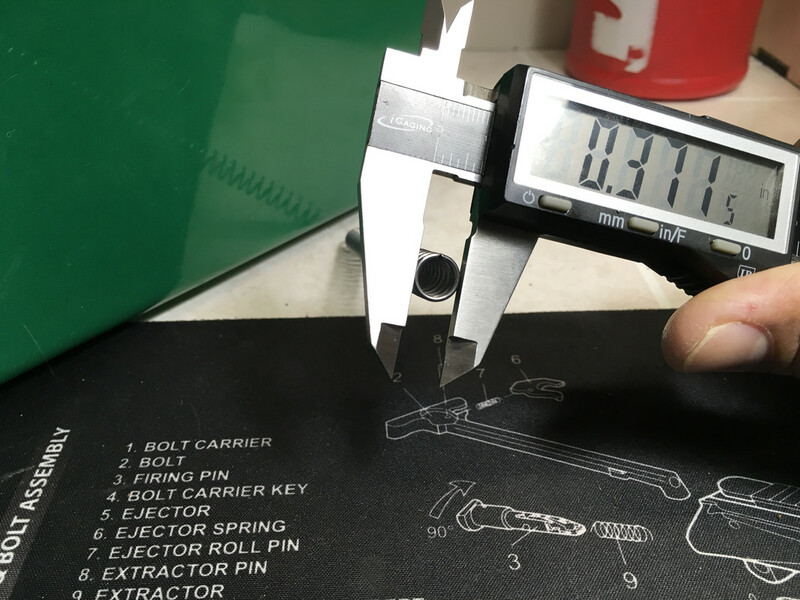 The smaller diameter end always goes into the guide rod first after speaking to a Wolff tech rep when I was troubleshooting my 1911. The smaller diameter “locks” or keeps the spring in place during recoil. It can happen. 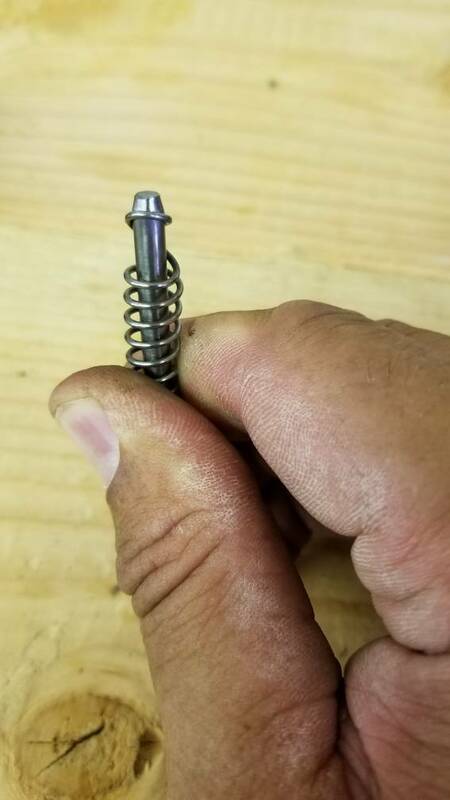 It happened to me when I cut a coil on a 1911 spring and I didn’t bend/tucked in the pointed end of the spring. It went into the recoil guide hole while I was shooting. That experienced led me to asking questions from the Wolf’s technical reps which included proper installation and orientation of a recoil spring on a guide rod. Anyway, here’s a couple of pics of my 16# TSO recoil spring with measurements. Mine was noticeably smaller in diameter so much so that it wouldn't fit over the larger step on the guide rod. I'm just guessing but I think it got swaged down further probably because I installed it backwards originally. Obviously once it was pushed through guide rod hole it got mangled. I've got that end up against the buffer now and yes I bent the clipped end inward so it grabs the guide rod. This is just until my wolff springs show up. My TSO 40 also came with a factory recoil spring that had one end wound tighter than the other. I would have never guessed it would slip through the guide rod home like it did on yours though! The original 16lb recoil spring on my 9mm TSO was so tight on the guide rod, I thought there must be a trick to getting it off. The spare springs are indeed different; they're not narrower at one end like this one. Mine came with the thicker buffer installed, and I'm still using it. I have about 1200 rounds through the gun so far with no problems. I wasn't talking about the OD of the spring, I was talking about the wire diameter being small enough to fit between the guide shaft and the hole in the slide. It just seems like that's a lot of gap (slop) in the design or the machining of the slide guide rod hole. Maybe they (CZ) should go to the flat wire springs like the P07 and P09 have. Yes there is enough clearance to fit not just one diameter of the recoil spring but two diameters (don't have it in front of me but guess that there is ~0.09 inch total clearance between the guide rod and slide hole). Since the TSO has a stepped guide rod the larger end won't accommodate a flat wire recoil spring. I was surfing cajuns website and found his TS guide rod. It states its larger in diameter so maybe it would prevent this type spring failure? I'm going to order one and see how it fits. Order CGW’s recoil spring kit as well while you’re at it. It comes in different weights that you can try on your gun. They’re also color coded I.e. white for 10#, 11 for yellow etc.